Hi! Wondering if there is any way to prep ahead? 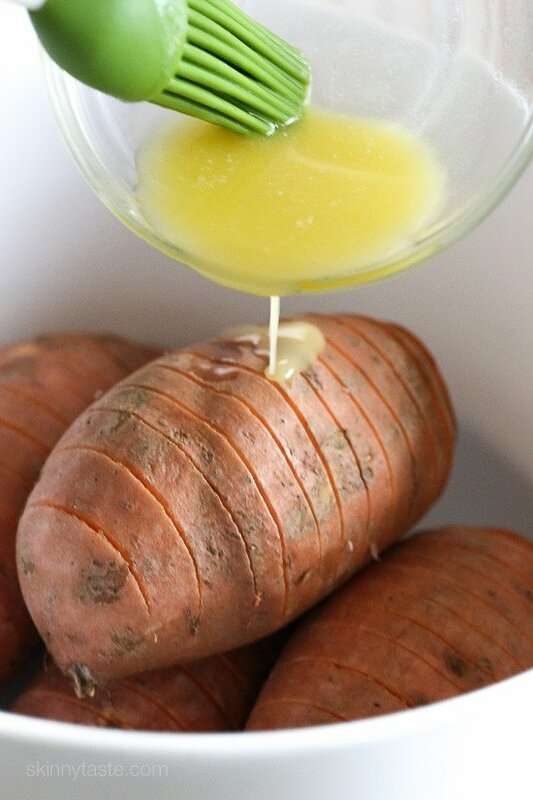 Could they be pre-cooked in the crock pot like your “Easiest Slow Cooker Sweet Potatoes” recipe. then finished in the oven? 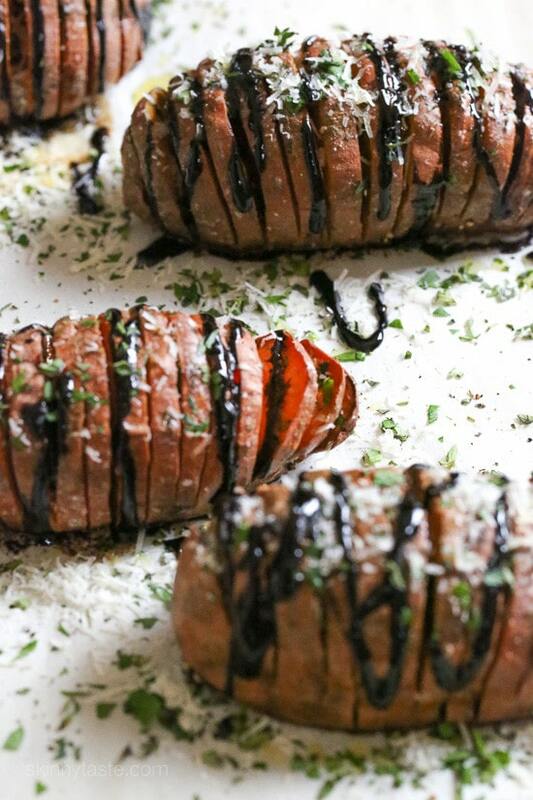 A delicious and fancier way to eat sweet potatoes! We’ll definitely make these again! Great recipe! This will be the second time I’m making it since it’s so delicious! 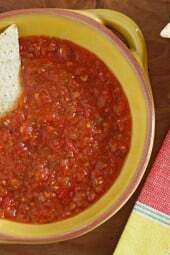 The Weight Watchers Calculater says that this particular recipe is 11 Smart Points, yet you have listed 8 Smart Points. Maybe I am entering something incorrectly. Would you please confirm? 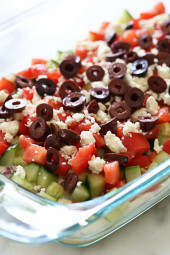 I'm confused about serving size…..Intro says side dish for eight, or meatless main for four. Would this mean 1/2 potato (4 points +) when used as a side dish, and 1 whole potato (8 points +)as a meatless main? Just wanting to keep my allowance in check. Thanks for all your great recipes! Hi Gina – This loos so great. 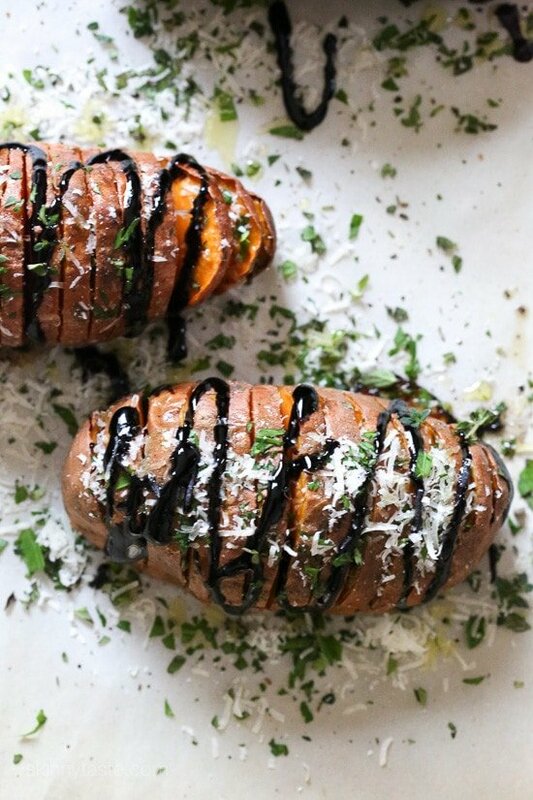 A great way to use any left over sweet potatoes. 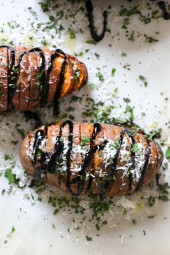 I know you mention using brand name balsamic glaze, but would I be able to just reduce my own balsamic vinegar for this recipe? These are sweet potatoes, I triple checked when I purchased them (unless they lied to me) but honestly, yams would work just as good. 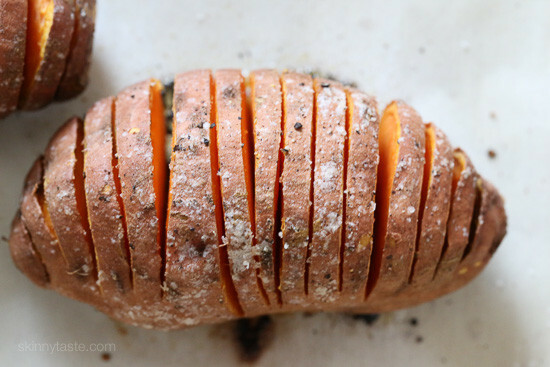 the recipe calls for Sweet Potatoes and you are using Yams. sweet potatoes have a yellow flesh and yams have an orange flesh.does it matter which you use? amazing! 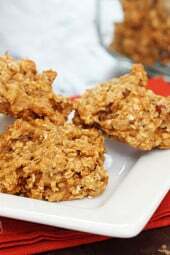 I'm in charge of sweet potatoes for Tgiving and I'm totally making these! Hi Gina, just want to confirm that only 1/2 tbsp butter and 1/2 tbsp olive oil is drizzled over 4 potatoes? Looks like more than that in photo so just checking! Yes, that's exactly what was photographed. Sweet potatoes are a Southern staple! This looks delicious! I'm going to try it tonight! Do you think that if I microwave the sweet potato before, it could cut the cooking time in half? Or, would it mess up the recipe? I'm not sure, I often cook them in the microwave, this would certainly change the cooking time. It's a great balance with the sweetness of the potato!